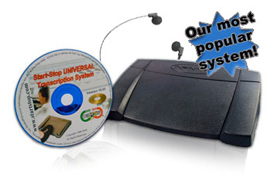 The Start-Stop UNIVERSAL Transcription System is a professional grade PC-based, foot-pedal controlled transcriber that has been making industry waves since its introduction over a decade ago and has become the go-to transcription kit. 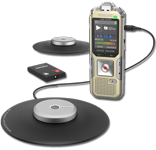 Control the speed and playback of virtually any digital recording or dictation—pause, play, step-back, and fast-forward without taking your hands from the keys or your attention away from your word processor. 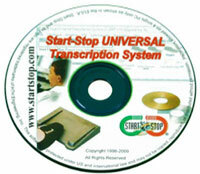 The Start-Stop UNIVERSAL transcription program continues to be unique with its lifetime free upgrades guarantee, a wide range of supported audio formats, and a focus on improved workflow and efficiency for medical transcriptionists, court reporters, conference recording, legal transcription, educators, corporations, and government. We are proud to announce Version 12 of Start-Stop UNIVERSAL Transcription System, with even more additional new features: Now Windows 10 (August 2015), Windows 8, Windows 7® supported, Start-Stop Yodal for BlackBerry®, myDictation iPhone® MP3, audio playback support of 11 multimedia new formats (RM, IVF, MTS, MPEG, MPG, VOB, MP4, F4V, MOV, WMV, FLV), new file Drag 'n Drop, SPX (Speex) support, and new standalone optional versions for use with Start-Stop Call-in System, Start-Stop Goldenear PRO 4x, and Start-Stop Superflow Continuous Recording System. Also we are including the Network Pro upgrade free with version 12. This networking add-on for Start-Stop UNIVERSAL makes work-sharing with other transcriptionists easy and efficient. This is all in addition to supporting virtually every audio format in the industry (standard and proprietary, for example, WAV, MP3, WMA, DSS, VOX, VOC). Whatever you need to play and transcribe under foot pedal control, Start-Stop UNIVERSAL is the perfect multi-purpose transcription tool to help you get the job done. Start-Stop UNIVERSAL transcription software is compatible with Microsoft Windows 2000, Windows XP, Windows Vista, Windows 7 and Windows 8, Windows 8.1, Windows 10 is Supported. as well as Windows 8, 8.1, 7, Windows Vista, Windows XP, Windows 2000, and Windows™ 2003/2008 Server! Slow playback speed to as little as 10%, or increase it by as much as 190%, without changing the pitch of the user's voice. Multiple SAVE AS options for Any Playable format! Add Notations to any dictation! Also new Priority and Duration columns. Audio playback support of 14 multimedia video formats (including new Version 12 format support for AVI, RA (Real Audio), and MTS - New Sony DVF/MSV* Audio Support. -Works well with limited user rights computers. - Silent install Version available for IT Deployment. 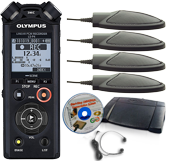 Optional Milliseconds Display of Elapsed Time/Remaining Time for high-accuracy audio files where fractions of a second count, the Start-Stop system is capable of displaying them. 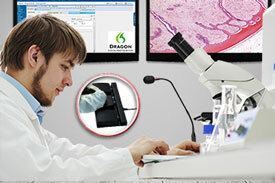 As the industry leader, Start-Stop UNIVERSAL transcription software supports more formats than any other transcriber. Never download another Codec pack again. The Start-Stop UNIVERSAL supports DSS, WMA, MP3, iPhone® MP3 and dozens more, making the Start-Stop UNIVERSAL a true complete transcriber. SST 12 supports most popular and many obscure audio formats. See the complete list. 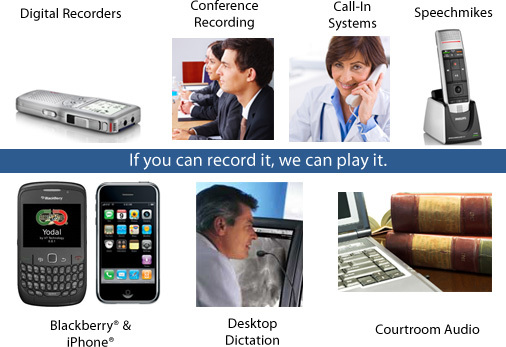 Play and transcribe dictation and recordings from a wide variety of equipment and sources. Reduce playback rate by half or speed things up by 300%—the magic of digital. The Start-Stop UNIVERSAL Transcription System is network enabled, allowing you to share, track, and archive jobs across the local network. This allows several transcriptionists to work on a pool of jobs without overlap. Automatic notification informs the transcriptionists that new dictation has been completed and is available for transcription. Work Pool Sharing: Several transcriptionists can share and track work without overlap, making this the perfect dictation/transcription system for small, medium or, large offices up to 300 authors. The Job Manager can be organized and queued with the help of complete demographic information: creation date, length, file, title, and job status. Several pedal (and hand control) options, hotkeys, and mouse control allow you to use the Start-Stop UNIVERSAL in a way that is quick, efficient, and tailored to your needs. Define hotkeys and pedal controls quickly and easily. 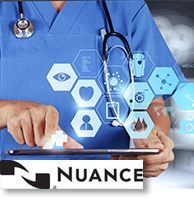 Your Start-Stop Transcriber will always remain up to date and current with automatic upgrade notifications. Upload files easily with the built-in FTP client without having to install or manage additional programs. Sound files up to 20 hours long are loaded quickly, with minimal pause, so you lose less time operating your tools and more time doing the job. Easily track billable lines and hours with the built in stopwatch and line counter. Have Start-Stop UNIVERSAL monitor your incoming job folder and it will alert you when new dictation is ready. Start-Stop UNIVERSAL will run in the background or "always on top" in full, reduced, and thin operating modes, allowing you to customize UNIVERSAL to your own style. 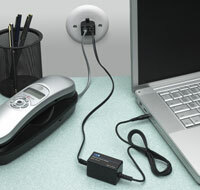 The graphic interface is easy to use and simple while containing all relevant controls, notifiers, and options. Start-Stop UNIVERSAL will work while running in the background and several display options allow you to simplify the interface, turn it 'always on top,' or reduce it down to a simple need-to-know taskbar. 2. Bookmarks: Set up to 16 bookmarks per file with hotkey control. 3. Play URL: Open and transcribe directly from internet hosted files. 4. Job Manager: Job manager allows you to queue files, view demographic information, set continuous play, and archives completed files. 5. Instant Sound Magnifier: Slows down quickly-spoken words and phrases automatically if selected. 6. Step options and Pedal Monitor: All pedal clicks are displayed on the interface for simple, accurate feedback. Set the step amount and auto-step amount to suit your particular style. 7. Constant-Pitch, Variable Speed (Tempo) Control: Slow playback speed to as little as 10%, or increase it by as much as 190%, without changing the pitch of the user's voice! 8. File Information: Quickly view file details: format, file size, and length. 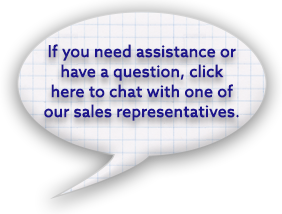 Order online below or speak to one of our digital dictation and transcription specialists at (866) 254-0714. Orders placed before 3:30PM Eastern Time Monday-Friday will be shipped same-day. Orders $100 and over are eligible for Free UPS Ground Shipping. Includes: Start-Stop UNIVERSAL Transcription System Version 12 on CD-ROM, Network Pro Upgrade, Digital User Manual, Free Concierge Technical Support, Lifetime Free Upgrades. This model does not include a foot pedal, software package only. Save money and time with our digital delivery option! Includes: Start-Stop UNIVERSAL Transcription System Version 12, Network Pro Upgrade, Digital User Manual, Free Concierge Technical Support, Lifetime Free Upgrades. This model does not include a foot pedal or CD-ROM, software package only, digital delivery. Same day digital delivery available for all orders submitted between 9:00am and 5:30pm Eastern Time during regular business days. Perfect for easy IT push-out deployment. If you purchase multiple licenses, they can all be keyed to a single license number (multi-user license). 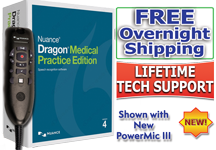 Includes:Start-Stop UNIVERSAL Transcription System Version 12Silent Install/Uninstall Version, Network Pro Upgrade, Digital User Manual, Free Concierge Technical Support, Lifetime Free Upgrades. This model does not include a foot pedal or CD-ROM, software package only, digital delivery. Same day digital delivery available for all orders submitted between 8:30am and 5:30pm Eastern Time during regular business days. 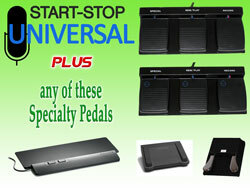 The Start-Stop UNIVERSAL Transcription System is also available with special purpose pedals. These options replace the standard Infinity USB 3-Pedal Footswitch for Model #30010 and #30011. 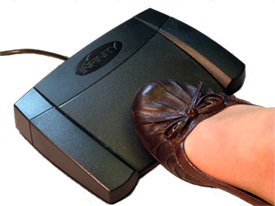 The price listed is for complete Start-Stop UNIVERSAL Transcription Systems with a substitution pedal. This version of Start-Stop UNIVERSAL is designed to work with the specialty file type and in-depth demographic information collected by the Start-Stop Call-In Recorder. 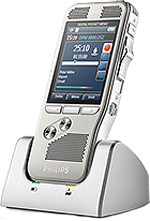 Call-In dictation is the economical choice for large and small organizations that require dictation and transcription. 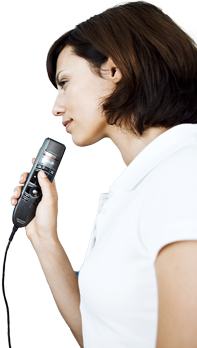 Read more about the Start-Stop Call-In Recorder and Transcriber. 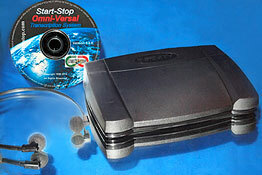 This version of the Start-Stop UNIVERSAL will sync two two-channel stereo files for four-channel seamless playback. Isolate certain channels or play them all. Multi-channel transcription has never been so accessible. This version is ideal for government, committees, or any organization that requires accurate transcription of proceedings. Read more about the GoldenEar 4X PRO. 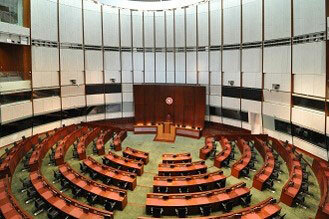 This version of the Start-Stop UNIVERSAL was designed on spec for a national legislative body. We are now offering this unique product to the public. The Start-Stop Superflow is a continuous recording and transcribing PC-based software suite that allows you to transcribe proceedings in near real-time. Have transcripts ready in minutes, not hours and quit trying to play catch-up. Read more about the Superflow Continuous Recording System.